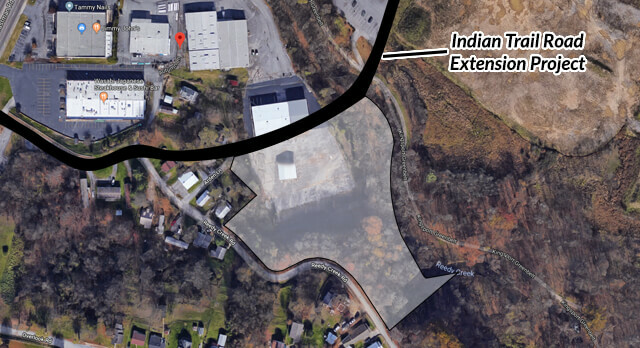 Located along the Kingsport Greenbelt, this property is raw land adjoining the new Indian Trail Drive Extension planned by the City of Kingsport to connect Eastman Road at Reedy Creek Road and Stone Drive at Indian Trail Drive. From I-26: Take exit 1, then travel east on Stone Drive/ Hwy 11W. In approx. 4 miles, turn right on to N Eastman Rd. Turn left on to Ryder Dr. in approx. 0.4 miles. Subject will be on the left at the end of Ryder Drive, in approx. 0.2 miles.